Laptop Mate LLC’s SellBroke.com is located in beautiful Reno, Nevada. We’re a team of professional computer technicians and industry gurus who started this business to meet the need for more widespread electronics recycling nationwide. We started by providing the most convenient service in trading used laptops online at laptoptraderexpress.com. The business was a success and has grown steadily over the last few years. Now that we have an established online presence, we’re excited to showcase our even better buyback service to the masses. We guarantee the best customer service and some of the best offers in the industry. Laptop Mate LLC is a family owned business, which applies to the way we treat our customers. Every transaction is performed with the fullest individual attention and customer satisfaction is our number one priority. 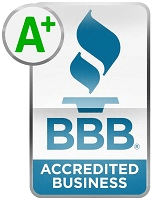 After several years in the business, we have earned trust and respect of our customers who rate us #1. We also specialize in both computer and other personal electronics repairs, satisfying the ever-growing demand for quality, local service with Reno Laptop Repair. Ready to give us a shot? Sell us your laptop, tablet, or other personal electronic device today at SellBroke.com!